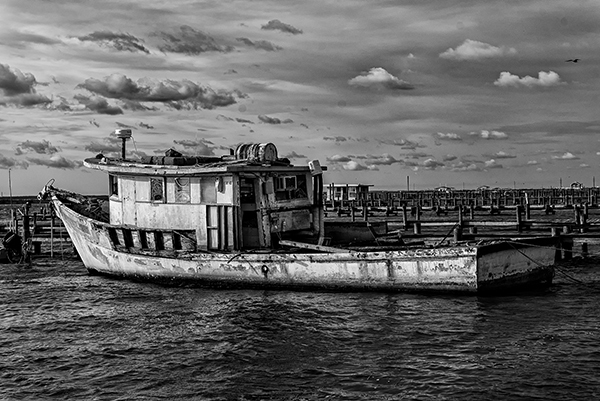 This boat has seen a lot of hard working days on the water. 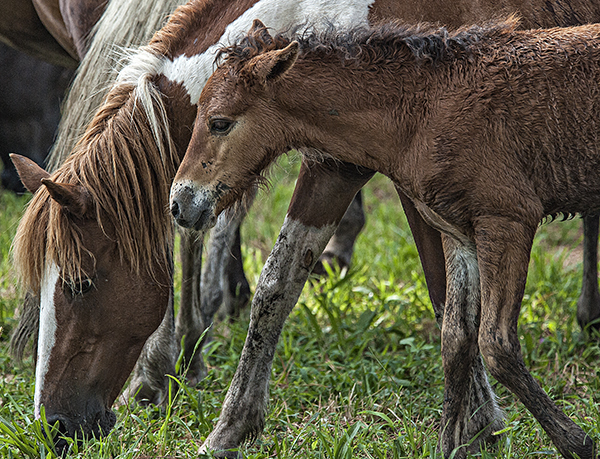 Photographed in Chincoteague Virginia. Fields of old and fields of gold in this case. 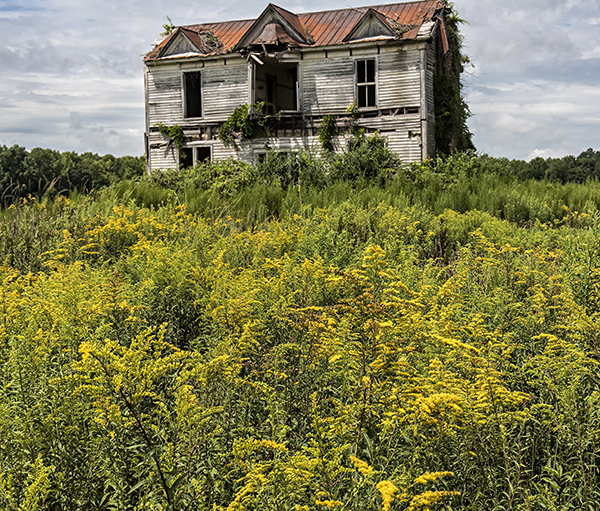 Goldenrod is taking over an old farm field in rural North Carolina. A small storm passed off shore a couple of weeks ago which kicked up the waves. 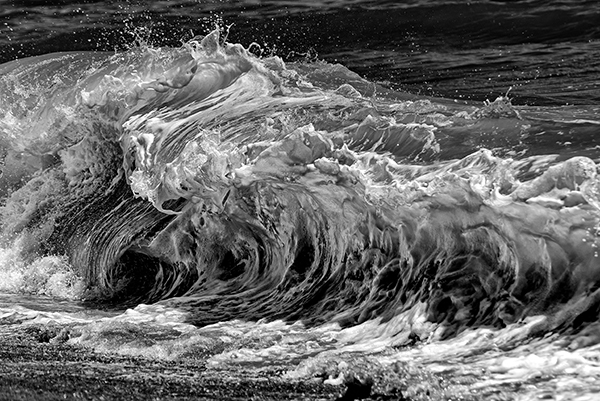 I love the patterns and form in this wave, which I think is best seen in black and white. The form water waves take upon breaking is as varied as snowflake crystals, and, at least to me, just as beautiful. 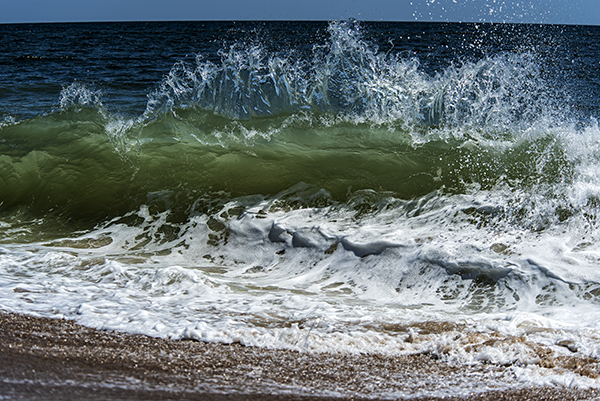 A nice wave at the moment of breaking, Fenwick Island State Park. 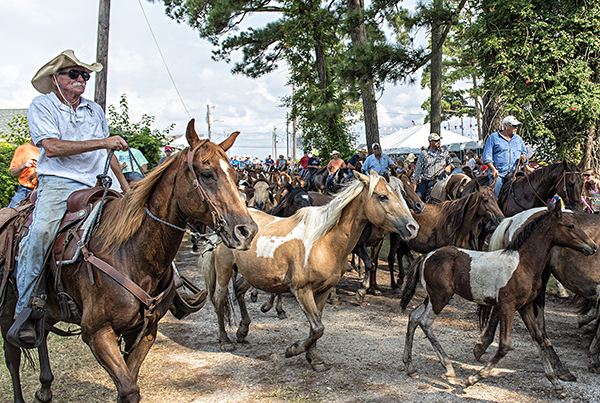 The ponies swam from Assateague to Chincoteague today for the annual auction. 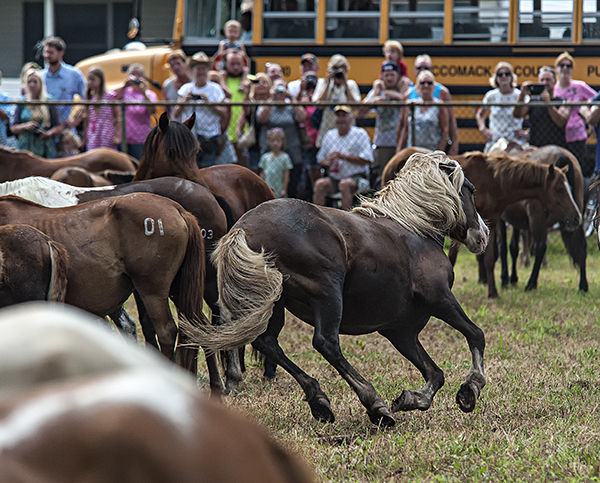 The swim was a very far distance from where I could watch but I had a front row seat as the ponies came into their pen. Here are a few photographs of the event. It was interesting to watch the social interaction as the herd settled into their new, confined area. 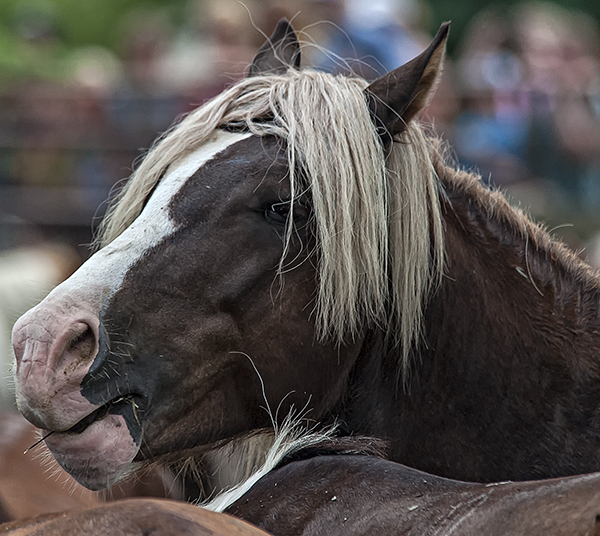 Foals found their mamas and one stallion with a blond mane charged around the pen, apparently rounding up his mares. Even at the hay bales he whinnied and studied the group for possible rivals. 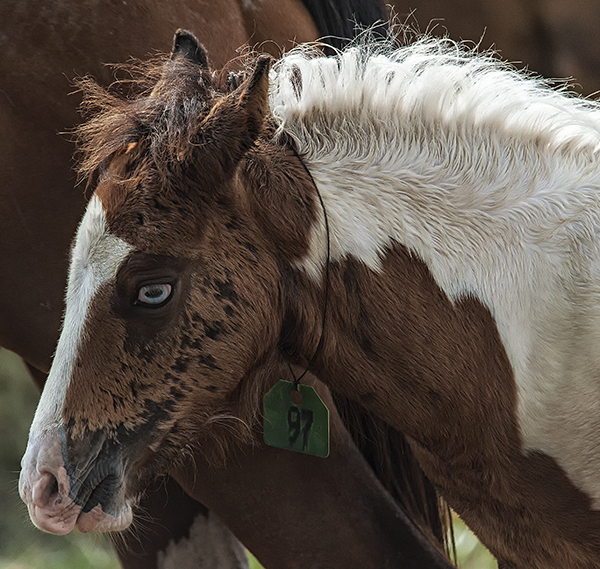 The green tag on the blue-eyed foal marks him as a ‘buy back’, a pony that will be bid on but returned to Assateague to live wild with the herd. 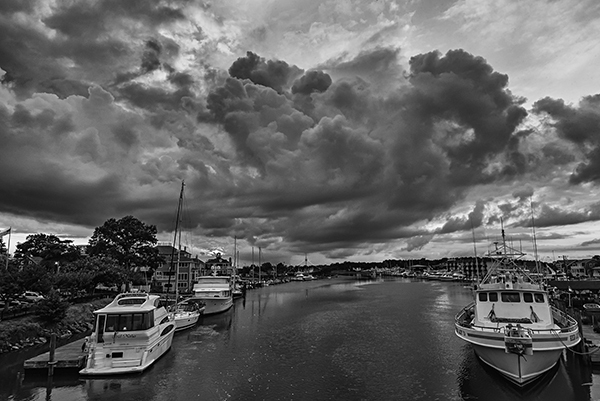 A cold front moves through southern Delaware recently. 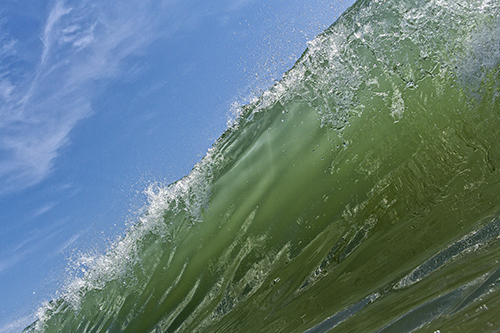 A small swell that encounters a light offshore breeze as it beaks on a spectacularly clear summer day at the beach is pretty nearly a perfect beach day. 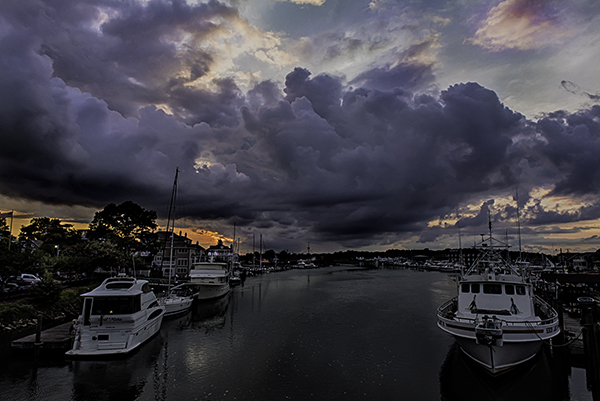 Threatening clouds rolled through Lewes at sunset tonight. Sometimes, to photograph the precise thing one wants to isolates, it takes a little extra effort and even exposure to discomfort. 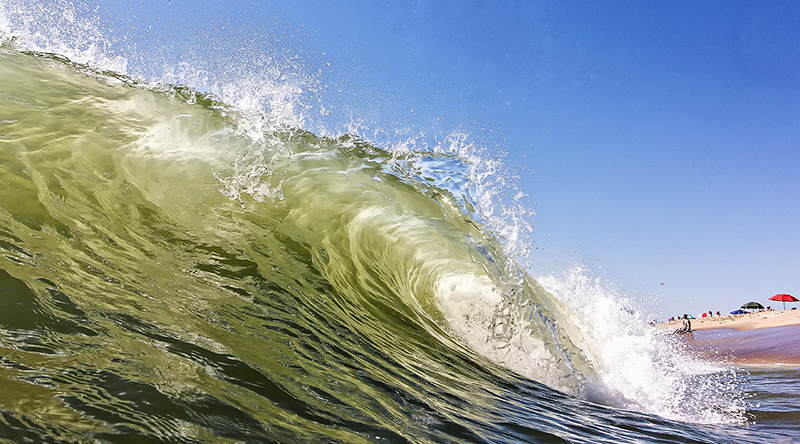 I shot the lip of a wave today as it curled over me and I got the precise moment of break. No damage done to me or waterproof camera. 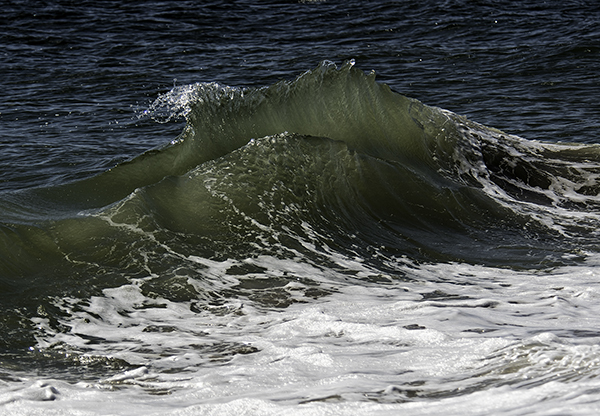 I love the splash and the beautiful color of this morning, backlit wave.